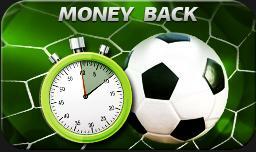 LSbet – World Cup 2014 Finals – Don’t pay the Penalty! July 12, 2014 Comments Off on LSbet – World Cup 2014 Finals – Don’t pay the Penalty! LSbet – 3rd Place Match – Great Comeback! 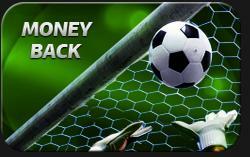 July 11, 2014 Comments Off on LSbet – 3rd Place Match – Great Comeback! LSbet – Semi Finals – Red Card your Delight! 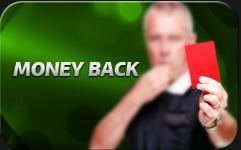 July 8, 2014 Comments Off on LSbet – Semi Finals – Red Card your Delight! LSbet – Semi Finals – Great Comeback!! July 7, 2014 Comments Off on LSbet – Semi Finals – Great Comeback!! LSbet – Wimbledon Final – 100% Refund! 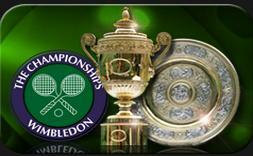 July 5, 2014 Comments Off on LSbet – Wimbledon Final – 100% Refund! The biggest event on the Tennis calendar Wimbledon 2014 tournament comes to its logical end with the Final games on on Sunday 06.07.2014. Place a bet at LSbet on “Head to Head” pre-match market on the Wimbledon Finals on 06.07.2014 and get a 100% refund of the bet value up to €25 Euro if your player doesn’t win any set. Terms and conditions – Wimbledon Final – 100% Refund! 1…. LSbet – Netherlands vs. Costa Rica – Great Comeback! July 4, 2014 Comments Off on LSbet – Netherlands vs. Costa Rica – Great Comeback! LSbet – Brazil vs. Colombia – Neymar Anytime! July 3, 2014 July 3, 2014 Comments Off on LSbet – Brazil vs. Colombia – Neymar Anytime! LSbet – Quarter Finals – Ready, Set, Goal! July 2, 2014 Comments Off on LSbet – Quarter Finals – Ready, Set, Goal! LSbet – Argentina vs. Switzerland – Another Messi Day! June 30, 2014 Comments Off on LSbet – Argentina vs. Switzerland – Another Messi Day!